Due to the sudden unexpected passing of my dad I need to cancel this class. Sorry for the inconvenience. Why it is important to start right! Our current estimate is roughly 3,500 – 4,000 packages of bees are imported into the Hudson valley each year. After talking to so many of these purchasers roughly less than half of these survive their first winter. These packages come from Georgia, California, Texas, Florida, and generally points south. These providers do their best to assure good quality bees and queens but given the scale of operations some things have to be overlooked in the process. There is little reason to bring packages into the Hudson Valley at the end of March. Many of the purchasers are first year beginners who know little about bees, have no drawn comb, and have no experience in feeding and caring for their new colony. Packages were designed to be disposable bees shipped from the southern states to Canadian prairies. These bees until recently, were expected to raise a crop of honey and after the harvest they were left to face the severe winter and perish. As the price of bees has increased, folks started figuring out ways to over winter their bees and have largely started to raise their own acclimated bees. The package bees are largely comprised of bees returning from their pollination runs in the almond valley of California. Three pounds of bees are shaken off into a box and supplied with a mated queen, some sugar syrup and sent off to try succeed in a new climate and location. The exposure from disease vectors of the migratory hives, to the genetic cesspool of under inspected colonies, has done more to set back the bees than perhaps any one other factor. These bees return home and are built up to where they can can be packaged and shipped out. Our goal is long term sustainability through education, and breeding improvement. For this workshop we will focus on how to start beekeeping in a sustainable way. Becoming self-sufficient in expanding your apiary with quality acclimatized stock is key to success. In addition to covering the basics of honeybee biology and colony management, we will provide insight on the best options for keeping healthy bees in the Hudson Valley region. Hudson Valley Hives BeeGroup is hosting this meeting in conjunction with Hudson Valley Bee Improvement. The format will be pretty informal. There will be a presentation and plenty of hands on demonstrations. Open discussion and questions are highly encouraged. Please register so that we can get a feel for how many folks to prepare for and be able to contact you if things change (weather, etc). The Intro To Beekeeping course was great. Very informative yet casual; engaging without being overwhelming. I appreciated Rob’s approach to local beekeeping, and am excited to start with my own hives in the Spring. It was also refreshing to know that one doesn’t have to spend a fortune on equipment when so many DIY options are available – for swarm traps, hives, etc. Rob helped demystify a lot of the process of backyard beekeeping, and made the information accessible to the lay person. I am an absolute beginner and I felt like I learned a lot from the class. I highly recommend it. 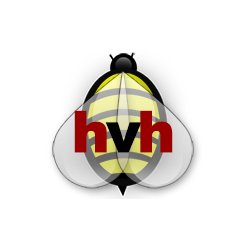 If you are new to beekeeping or thinking about taking on beekeeping, this is the site for you. I will be receiving my first two packages of bees the end of March 2015 and feel that I am prepared and ready thanks to the info I garnered at the Beginning Beekeeping Class and a couple of meetings I have attended. I will probably have tons of questions as I begin this journey but at least I know I will have a safety net with Rob Overton at the helm. He is a font of knowledge about bees and always responds if you have a question. I am so glad I came upon this group and will not be taking this journey alone. The beginning beekeeping workshop is incredible. I attended both sessions of the beginning beekeeping workshops led by Rob Overton. He is an EXCELLENT lecturer. I left with my brain exploding from all of the information. In addition to topics such as be casts, strains, hive location, and equipment, Mr. Overton brought to our attention unexpected information like a bee’s defensive reaction to the odor of bananas. Who knew? Until a few months ago, I never dreamed that I could become a beekeeper. I got more from 2 half-day lecturers than I have gotten from a few months of reading. These lecturers have given me enough knowledge about equipment and husbandry practices to at least get me started. The other valuable tool that I took away from the workshop was knowledge of a support system in the form of a beekeeping community/organization. That alone was priceless. This workshop is worth its weight in gold. By taking this class, I have the confidence that I can start beekeeping and succeed. This class provided much needed information about everything specific to bees. I would recommend this class before getting into beekeeping. I think this is an excellent course. It equips you with the skills necessary to feel confident in working your hives and being around bees. I would highly recommend this course. Are you teaching any classes after the March 5 class in Pine Hill which I am told is now too full? Where can I find out about these classes? Is it too late to start a colony in the Shandaken area this year. We offer the Intro course once a year at the Olive Library in January. We had a special request from the Pine Hill Library this year, that is why there is one in March. It is getting late to start this year, but not too late yet. We do have a monthly meeting at the Olive Library where there are always people willing to help and give advice to new beekeepers. I attended Saturday’s workshop on beekeeping. I learned a great deal from Rob, a knowledgeable bee expert and an excellent teacher! His slides were amazing. I took part in the workshop on January 8th, 2017. Rob did a great job at presenting and demonstrating things for the beginner and novice beekeepers. I am a beginner and got a lot out of the presentation. He answered many questions and I appreciated the questions from the novice and experienced beekeepers. Being new there are things I just don’t know what to ask. I hope to attend the monthly meetings at the Olive Library. Buzz Buzz…. I would love to attend the Intro workshop, but cannot make it this Saturday. Would you tell me if the introductory workshop is offered again this winter/spring?